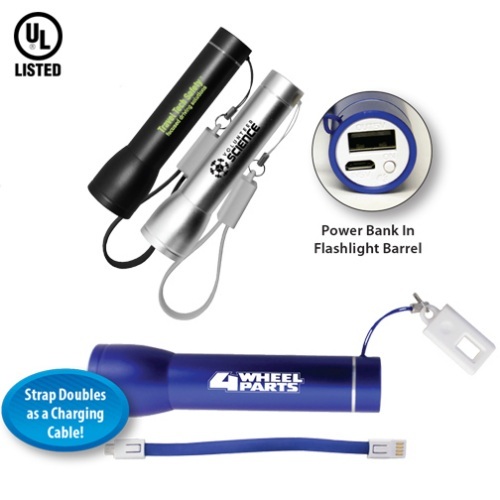 This multi-purpose flashlight features an ultra-bright LED flashlight and charges your USB products. The strap doubles as a charging cable. The flashlight has an on/off button, is UL listed and FCC approved. The lithium ion battery is included. 2200mAh with 5V output. Each Flashlight Power Bank is individually boxed. An additional $50 non-refundable artwork charge per imprint position and color must be paid before work can begin.